Prior to joining HCC, Dr. Cesar Maldonado was the fourth president in the 47-year history of Texas State Technical College (TSTC) Harlingen. A national leader in the engineering and manufacturing industry with a dedicated commitment to community service, Maldonado took over the leadership helm at TSTC in 2008 and has successfully transitioned his private industry management expertise into higher education administration. Under his leadership, TSTC has significantly improved its graduation rate, increased enrollment and maintained fiscal strength. He led the addition of seven new associate of science degrees and two new technology programs, including one in Wind Energy Technology. Dr. Maldonado holds Bachelor and Masters of Science degrees in Chemical Engineering from Texas A&M University, a Doctorate in Systems and Engineering Management from Texas Tech University, and is an alumnus of the UC Berkeley Haas School of Business. Further, he was recently elected to the Texas Tech University Industrial Engineering Academy. Cesar and his wife of 38 years, Liz, enjoy their children, Kristin, Marcus, and Laura and Jason Rocha, and grandchildren, Julianne and William. 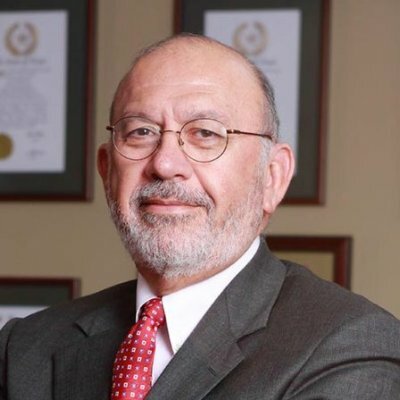 Maldonado began his career in 1976 as a process engineer for Celanese Chemical Corporation, where he designed and implemented the company's first digital control system used for real-time optimization of energy recovery systems. In 1980 Maldonado accepted a position as Vice President of Information Systems with Tex-Steel Corporation, where he became President and Chief Executive Officer within 10 years and grew the business to international prominence. Ultimately, he led Tex-Steel through a successful acquisition into a larger publicly held enterprise. Maldonado then joined ASSA ABLOY as Division Vice President and Chief Technical Officer and led joint venture technical groups in the development of new business lines and in the support of $500 million/year in engineered products. Subsequently, Maldonado became an executive in two successful engineering firms and, in 2008, was named President of Texas State Technical College in Harlingen, Texas. In the same year, Dr. Maldonado earned a Ph.D. in Systems and Engineering Management from Texas Tech University. In 2011, Maldonado was named Vice Chancellor for Institutional Effectiveness and Commercialization for the TSTC System, while remaining President at TSTC Harlingen. In addition to his demonstrated business acumen, he led legislative efforts to create high school/college dual enrollment opportunities in Texas, and has served as a board member (twice as president) of the Harlingen Consolidated Independent School District (TX) since 2003. He served as the interim Chairman of the Border Governors Conference on Science and Technology, where he worked to foster bi-national research and technology exchange with scientists across the U.S. and Mexico border. He was also appointed by the governor to serve as a Regent of the Texas State Technical College System.